Are you wanting to get better results for your business? Finding it difficult to work out the right ‘bring in the money’ task to work on first? Not finding the time to get the things you want done – let alone enjoy time outside of work? Running your own business can be frustratingly difficult at times. Working long hours and handling so many tasks, yet wondering which is actually going to boost your turnover or profit. You want your business to succeed in the best way…. … and then there’s the life outside of work that you want to enjoy too. Masterminding gives you the clarity in your own business and where you want to take it, providing the 12 months’ overview, but working on the smaller steps to achieve it. The Mastermind gives you the focus on your own business, as well as suggestions, in-sight and lessons learned from others. A supportive environment to flesh-out new ideas, deal with the business challenges we can all face at times, and keep you accountable for your progress. “Amanda has offered me invaluable advice, enabling me to identify and focus on pivotal areas that will increase my income, and thus support my business growth. Her unassuming calm manner put me at ease, facilitating fruitful and honest discussion. She has motivated me to decrease the amount of time between brainstorming and implementation, giving me rapid results which has further spurred me on.”– Athene Burdge, Autism Solutions Kent. I have run my own businesses for over 30 years. Taking one from a small family business to a £multi-million international company. I understand what it is like to run a business, the difficulties you can encounter, and the success you can achieve. 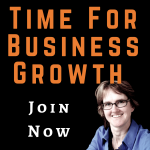 Let my experience, and that of the rest of the group, help your business to succeed faster. The Kent Business Mastermind group program combines both virtual and face-to-face Masterminding. Each quarter there will be a meet-up Mastermind in Kent to directly discuss your business progress in a group environment. In between, we will hold monthly virtual Masterminds to report progress, develop skills, help with challenges and discuss new plans. There will be focus time on YOUR business, and key actions drawn up. All to facilitate support, accountability and encouragement to keep you moving forward with your business, whilst keeping your time investment down. 8 x Masterclass sessions – as part of the Virtual Mastermind to enhance your business skills and personal development in areas such as productivity, finance, marketing, and sales. Small group size to enable targeted discussion. Direct access to my support in your business. If you are interested in joining the Kent Business Mastermind, then call 01843 347135 to apply, and we can discuss how Masterminding would help you and your business.